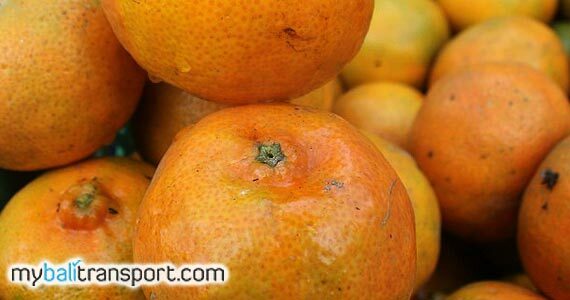 Fresh orange skin, with yellow and greenish. 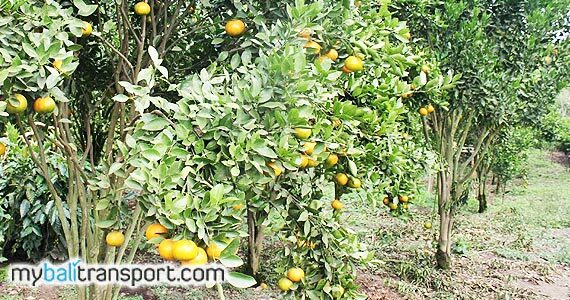 If you go to the tourist attractions of the lake or Mount Batur Kintamani, then when the harvest season comes around July to September, you will find orange tree with fruit that is very dense along the road. 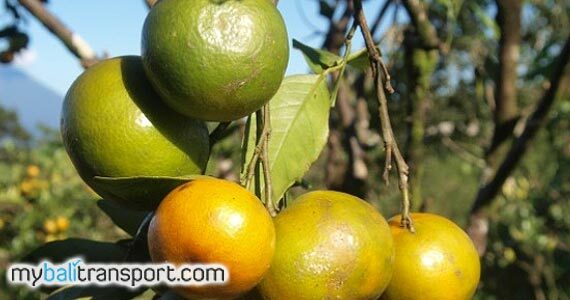 Kintamanis Orange fruit varieties, can buy along the journey with a cheap price. 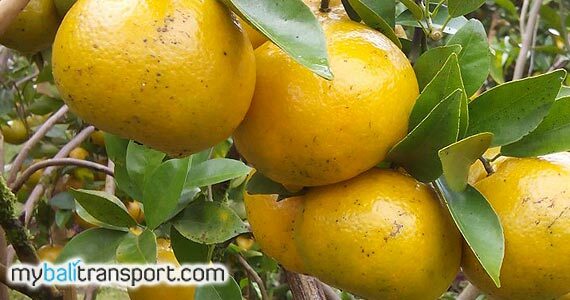 Type of this fruit which is produced in the district of Kintamani Bangli, is kind of Citrus with a sweet taste, has a thick skin texture. And of course, contained a lot of water. 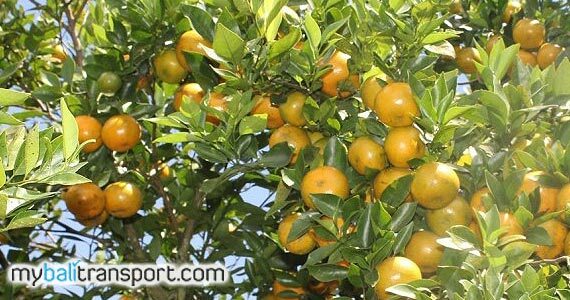 In addition there are 2 varieties grown in this area. This plant grows in place or plateau like Kintamani area. 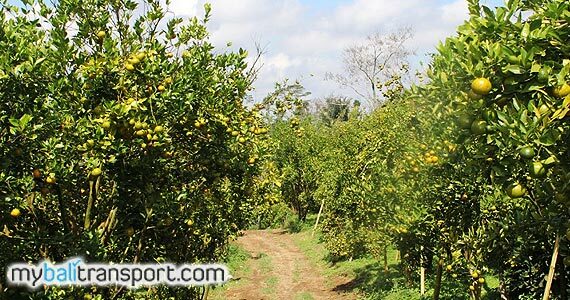 Growing at 900-1200 meters above sea level, with a cold natural conditions it is supporting the growth of citrus fruits become fertile and fruitful. 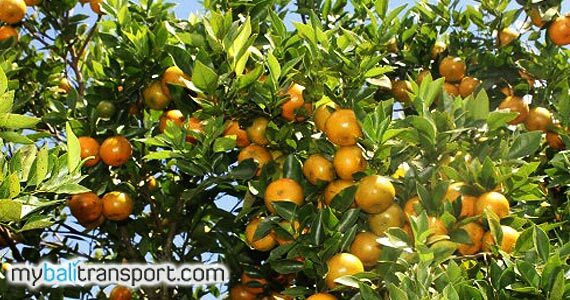 When the harvest time, Kintamani orange are sold to local markets and fruit shop. 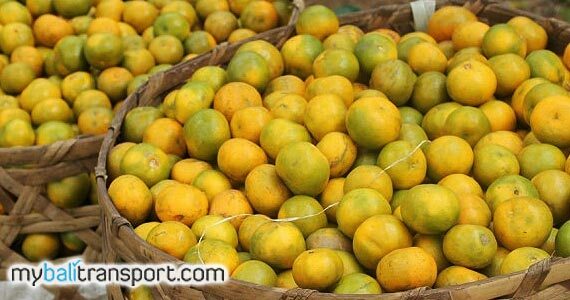 By the local community, Orange of kintamani also processed into juice bottled and also to be Dodol (sweet fruit cakes). 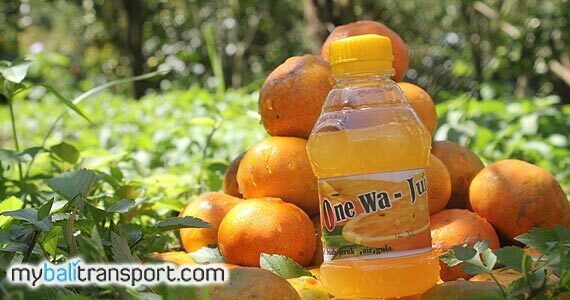 Awan Village Society in Bangli make Orange Juice with label One Wa juice. 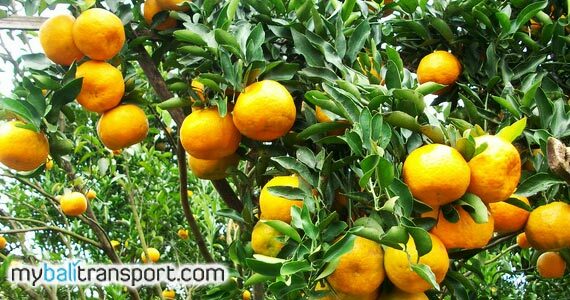 Has a delicious taste because it is made from fresh oranges straight from farms and without preservatives. 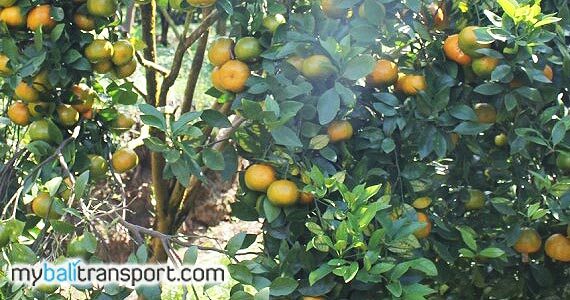 To visit Kintamani orange plantation, can be seen on the way to Kintamani.